The stalemate at Visva-Bharati University saw signs of a thaw on Sunday as the gherao of Vice-Chancellor Sushanta Dattagupta at his residence by the students and some parents was withdrawn even as the V-C’s wife fell sick and a doctor had to be called. The steering committee of the students and teachers, however, remained persistent with their demand for the V-C’s resignation, and called for a meeting to end the ongoing impasse. Earlier in the day, the varsity’s Registrar, R Gunashekharan, sharply criticised the logjam that lasted for three days. He went as far to compare the protesting students with the “militants”. “Even militants are better than these students. Both the V-C and his wife have fallen sick but they are not being allowed to come out (of the house). It is inhuman and painful and we did not expect this kind of behaviour from the students,” Gunashekharan told The Indian Express. Reportedly, because of the students’ gherao, procuring basic amenities such as food in the V-C’s residence had become a difficult task, the authorities alleged. 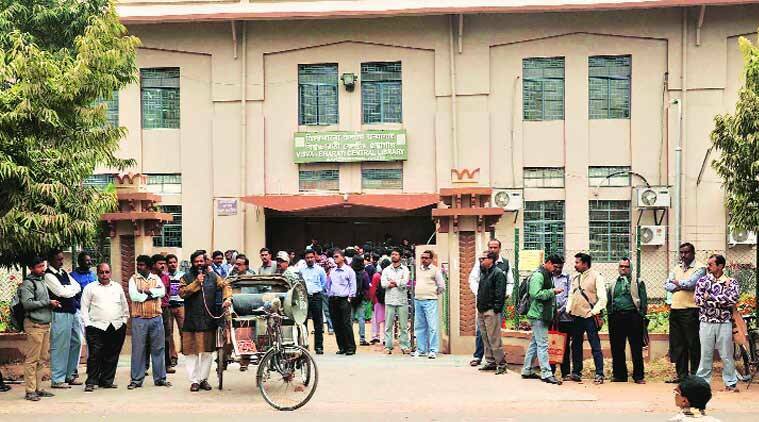 The central university in Santiniketan is witnessing cease of work due to the agitation amid demands, besides the V-C’s resignation, for the cancellation of all illegal appointments made during Dattagupta’s tenure, and withdrawal of penal actions against professors, and students for taking part in the agitation. The university had, earlier this week, issued a notification saying the quota system for admission to undergraduate and post-graduate classes would be maintained for the current session, another demand that the students had raised. On Sunday, however, they said they would not stop the agitation until Dattagupta resigns from his post.